On February 19, 2016, Weyerhaeuser Company and Plum Creek Timber Company, Inc. merged. The combined company retains the Weyerhaeuser name and continues to be traded under the WY ticker symbol on the New York Stock Exchange. The FAQs below are specific to WY stock and shareholders. Visit our Plum Creek Legacy Info section for details and FAQ for former shareholders. 5. How are Weyerhaeuser’s dividends taxed? 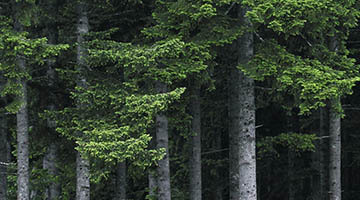 Because the income generated by the sale of standing timber is generally considered capital gains, much of the income generated by Weyerhaeuser and distributed to shareholders is taxed at capital gains rates. Since Weyerhaeuser’s conversion to a REIT, our dividends have been taxed as long-term capital gains for most US stockholders. For copies of historical announcements regarding the tax treatment of our dividends, please visit our Dividend Information page. 6. I am not a U.S. investor. How are my dividends reported? Generally, non-U.S. investors will receive a 1042-S reporting our dividends paid as "ordinary dividends." These dividends are subject to a U.S. tax withholding of 30 percent or the appropriate tax-treaty rate, whichever is lower. 7. When is dividend tax information provided? If you are a registered shareholder, our transfer agent (Computershare) will mail the Form 1099-DIV to you, typically at the end of January. If you hold your shares through a brokerage account, your broker will supply your tax information in the Form 1099 it issues to you. 8. Does Weyerhaeuser issue k-1 forms? No, we provide annual tax information on Form 1099-DIV.